Aikido is a method of martial art developed by the Japanese Master Morihei Ueshiba. 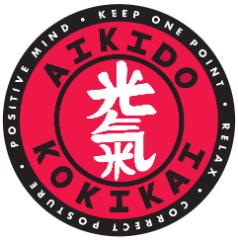 The word “Aikido” literally means the way of harmonising with ki. There are no tournaments or competition. Techniques are applied in self-defence. In Aikido, the natural movement of an attack is used to neutralise it. The motion initiated by the opponent is continued into a throw or a lock. Aikido (pronounced eye-key-dough) is a Japanese martial art that originated in the 20th century. Kokikai – Ryu Aikido was developed by Shuji Maruyama, an apprentice of the founder of Aikido Morehei Ueshiba. Practitioners use dynamic throwing and pinning techniques that minimise an aggressor’s power, regardless of an attacker’s advantage in size or strength. Techniques rely on achieving a balanced posture, learning appropriate timing and redirecting our energies to harmlessly neutralise any dangerous or volatile situation and or individual. Really a study in the self and interactions with other, its purpose is to assist practioners to achieve their highest possible personal state. Building on the correct principles of ones self. A win-win mentality is developed. Aikido teaches practical techniques of self-defence against single, multiple, and armed attackers, principles of intelligent self-defence, meditation and breathing exercises, calmness and relaxation. The Kokikai style of aikido emphasizes minimum effort for maximum effect. It is based on relaxed, natural and logical responses to attacks. It is an effective self-defence system and is training that can be applied to daily life and daily situations. It is also a life style and personal journey. These principles should be followed throughout all training, but also throughout the day, away from training. Doing this will have many benefits, such as reducing stress, improving health and awareness, and increasing your general effectiveness in whatever you do. Kids grades start from 10th Kyu and have different belt colours. After passing the 1st Dan grading, a student will wear a black belt and hakama (pleated pants) on top of the gi (uniform). There are two gradings held in a year in each of the major dojo (training halls). Brown and black belt gradings are held during the Annual Spring Camp and must be overseen by Maruyama Sensei. Grading requirements include Ki tests, techniques versus particular attacks, defense against multiple attacks and weapons kata for higher grades. This varies with each Dojo, so please ask to your instructor or visit the dojo website. However all AKA instructors are volunteers, fees go towards facilities hire and equipment, so the costs per lesson are generally cheaper than commercially operated martial arts clubs. 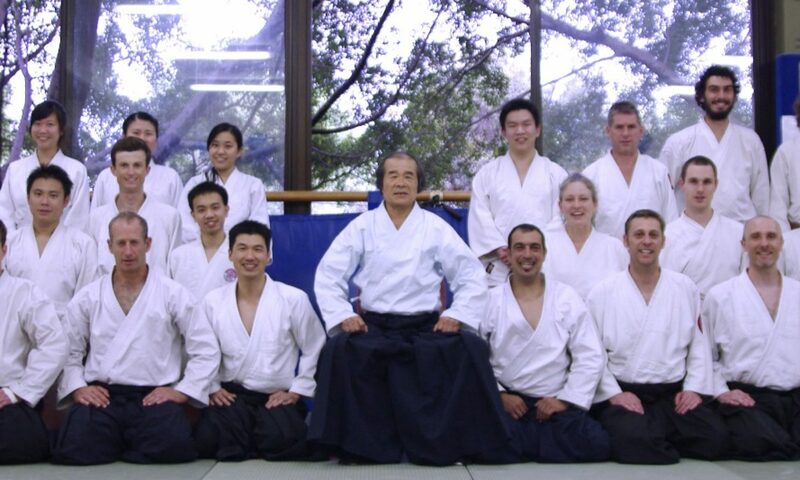 There is an annual membership to Aikido Kokikai Australia that registers you as a student of Kokikai and entitles you to train in dojos all over Australia and the world. Dogi (training uniform) is traditional apparel, however comfortable clothing suitable for exercise is fine.